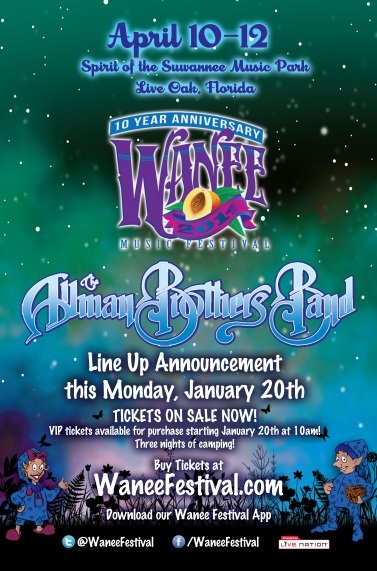 Wanee Festival Lineup to be announced Monday, January 20th! Get ready everyone! The 10th Anniversary lineup will be announced this Monday, January 20!! Tickets are now on sale on http://waneefestival.com/!! VIP tickets will also go on sale Monday, January 20! Do not miss out on these premium tickets. They fly quickly! !